Everyone is Welcome... bring your friend or spouse! Hosted by Cheryl Larson - Ambassdor of Community Engagement. 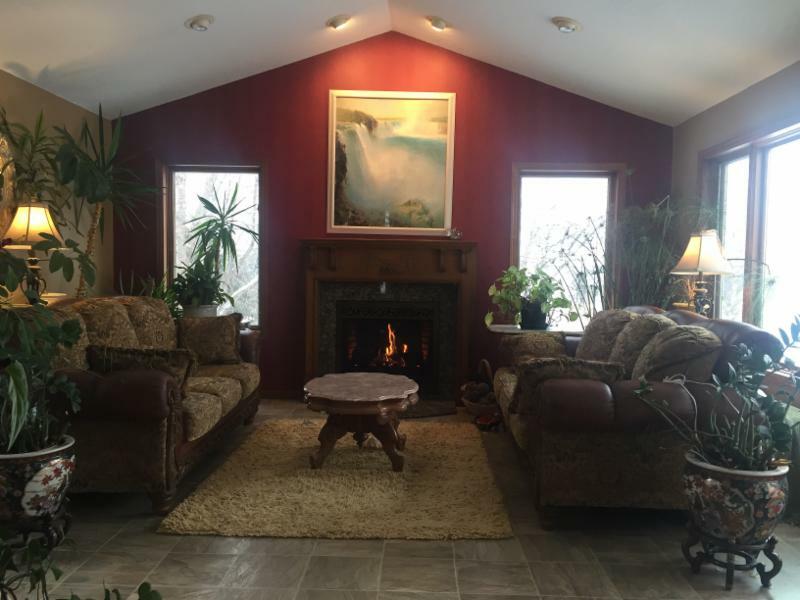 Our FSIM C3 Circle (C3 is Conscious, Compassionate, Community) will be held around the fireplace indoors in Maple Grove (due to so much snow still on the ground) with EFT Tapping lead by Ellen Johnson in circle with your Feng Shui family. There will be light appetizers and beverages provided. Please feel free to bring something to share if you'd like too! Remember to bring your red envelopes to release to the heavens by burning them in the fire! The destiny of the soul is to creatively express its wisdom as an act of service to humanity. When this is done well, an individual's influence in the world is uplifting and profound. In this talk, William Meader will reveal how to more effectively manifest the soul's creative intention. This will involve a deep and profound look at the steps to be followed in the ancient art of spiritual magic (creativity). He will also reveal how to recognize the soul in the day-to-day aspects of life. Register TODAY! After completing an undergraduate degree in business administration from Mankato State University, William acquired a Masters Degree in psychology from Pepperdine University in 1988. He obtained a Doctorate Degree in Esoteric Philosophy in 2000. William's book 'Shine Forth: The Soul's Magical Destiny' was published in 2004 by Mariposa Publications. He has also published more than thirty articles focused on esoteric topics such as the spiritual constitution of human beings, the evolution of consciousness, spiritual initiation and practical mysticism. He has produced a fine library of audio and video recordings and is a regular speaker at the Wrekin Forum, international conferences and Theosophical Society venues. He recently presented at the Findhorn Foundation in northern Scotland. William offers individual counseling utilizing esoteric astrology as a tool to facilitate students towards a deeper understanding of their unique spiritual purpose. His work-often described as a 'next step' in spiritual evolution-assists students in the refinement of the higher abstract mind in order that they might align with the soul's creative intention, thereby coming en rapport with the One Life and the ashram (inner home of the soul). William's gentle humor, sensitivity and deep understanding of the spiritual path is appreciated by dedicated students of the Esoteric Philosophy-also known as the Ageless Wisdom -worldwide. While in Minneapolis, William will be offering esoterically interpreted astrological readings. For more information or to schedule an appointment click here. Saturday, April 14th: Inward Bound meditation workshop 1-5 pm at Southtown Office Park. Sunday, April 15th: The Flaming Heart workshop 9-5pm Southtown Office Park. In various spiritual circles the term "enlightenment" is often used. Generally speaking, it is a word depicting a state of liberated consciousness. This definition is certainly valid. Yet it is also useful to view enlightenment as a gradational recognition of the light within oneself. When viewed in this way, enlightenment is best understood as incremental. It is a measure of one's capacity to identify with the light of the soul. This always entails the purification of the mind, emotions, and physical appetites so that the soul's light can shine through the personality with less and less encumbrance. It is to "lighten" the darkened areas of the lower-self and, by so doing, shine the soul's light through it with increased brilliance. Over half of the world's population believes in reincarnation and that karma is "destiny from cause and effect". Many major religions hold the belief that we live one life as a Soul and gain experience through many lifetimes and personalities. Hinduism, Buddhism, Jainism, Taoism, and Shamanism teach reincarnation as a basic tenant. Twenty-five percent of Christians accept the reality of multiple lifetimes. Have you explored your past lives? Have you wondered how and why you feel like you've been in a place before, known someone you just met, or tried to heal by discovering the "originating cause" of an innate physical condition? In this workshop you will have the opportunity to explore your ancient past. You will be guided to other lifetimes to discover more about who you truly are. You will also gain experience in assisting another on their ancient exploration. How do Feng Shui and reincarnation intersect? Find out by performing a Feng Shui adjustment in your home from another life time. Register TODAY! Rev. J. Thomas Hyder has been a spiritual practitioner and student for 40+ years. He has a private practice as a spiritual counselor, and has led many workshops on psychic development, dowsing, and reincarnation. Tom was ordained through Sancta Sophia Seminary. He is a master gardener, and lives Feng Shui through his twenty-three-year marriage to Carole Hyder. Learn tips to create spaces that support your health, increase your abundance and improve your relationships! Lean how to Keep only what you love and need.